The 86th Division was formed in 1915 to support the German war effort. If formed in November 1914 as the Wernitz Division, a Regular unit. The cavalry consisted of the 86th Cavalry Regiment (Cleinow). The 171st Brigade was formed from the Grossmann Brigade. The 172nd Brigade was formed from the Windhelm Brigade. The 85th Landwehr Division was formed in 1915 to support the German war effort. If formed in November 1914 as the Breugel Division, a third wave unit. The Regiment was formed in 1868 as the 8th Pommern Landwehr Regiment. 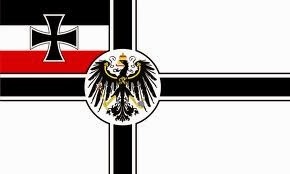 The Regiment was formed in 1868 as the 4th Westfalian Landwehr Regiment. The Regiment was formed in 1868 as the 4th Pommern Landwehr Regiment. The cavalry consisted of the 3rd Horse Grenadier Regiment (Neumarkishes). The 84th Division was formed in 1915 to support the German war effort. If formed in 1914 as the 2nd Posen Division, a garrison unit. In June 1915 the Division was reformed as the 84th Infantry Divison. The cavalry consisted of the 84th Cavalry Regiment. The 167th Brigade was originally the 12th Ersatz Brigade, and joined the 84th Division on its formation on 12th June 1915. The 168th Brigade was originally the 4th Posen Brigade, and also joined the 84th Division on its formation on 12th June 1915. The 83rd Division was formed in 1915 to support the German war effort. If formed in 1914 as the 1st Posen Division, a garrison unit. The cavalry consisted of the Ersatz Squadron of the 3rd (1st Brandenburg) Uhlan Regiment, and the 5th Militia Squadron. The 165th Brigade was originally the 1st Posen Brigade, and moved with the 2nd Posen Brigade now known as the 166th Brigade when the Posen Garrison, or Posen Division was reformed as the 83rd Infantry Division on 15th May 1915. The 82nd Reserve Division was formed in 1915 to support the German war effort. The 81st Reserve Division was formed in 1915 to support the German war effort. The 80th Reserve Division was formed in 1915 to support the German war effort. The 79th Reserve Division was formed in 1915 to support the German war effort. The 16th Bavarian Division was formed in 1917 to support the German war effort. The 11th Bavarian Regiment came from the 6th Bavarian Division, the 14th Bavarian Regiment came from the 5th Bavarian Division. The 21st Bavarian Reserve Infantry Regiment was provided by the 6th Bavarian Reserve Division. The 3rd Bavarian Field Artillery came from the 6th Bavarian Division. The 15th Bavarian Division was part of a new wave of divisions formed in 1916/1917 to support the German war effort. The 14th Bavarian Division was part of a new wave of divisions formed in 1916 support the German war effort.